I have a confession to make: I love clutter. Clutter makes me feel safe. I wear my clutter; books and paper and crystals and art and pens and books & books & books like armor. They are how I keep out the rest of the world. They ARE my world. My refuge. Therefore- my relationship with Space Clearing is complicated at best. 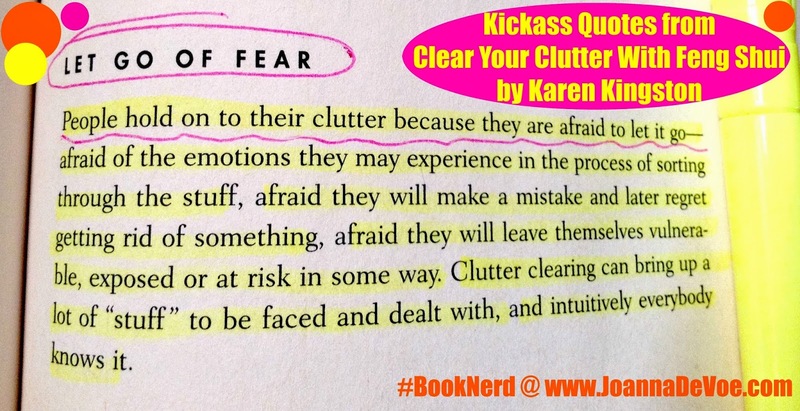 I do aspire to getting good at clearing clutter one day... as long as that day does not get too close to this day. As a card-carrying "artsy person", I doubt I could ever live an entirely clutter-free existence, but there is a point where too much becomes too much, and I have to engage in some Space Clearing lest I tip the balance into qualifying as a bonafide hoarder. 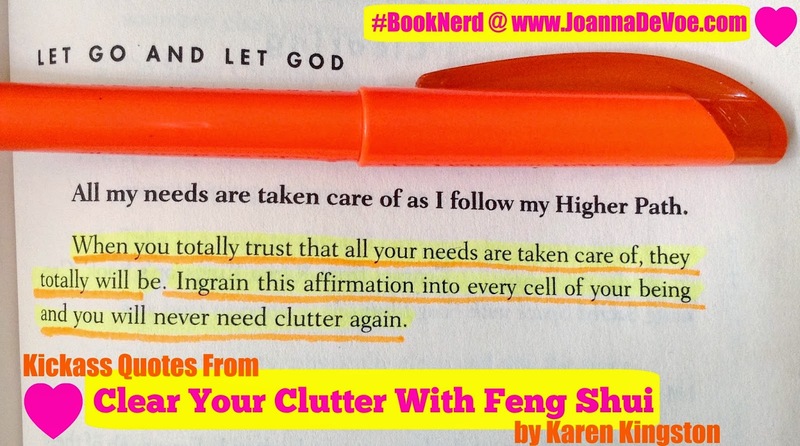 What helps is to make the decluttering process creative. Feng Shui really appeals to me this way, and that is why I created a section for the SPRiNG TRANSiTiON module called "Space Clearing And The Art Of Internal Feng Shui". 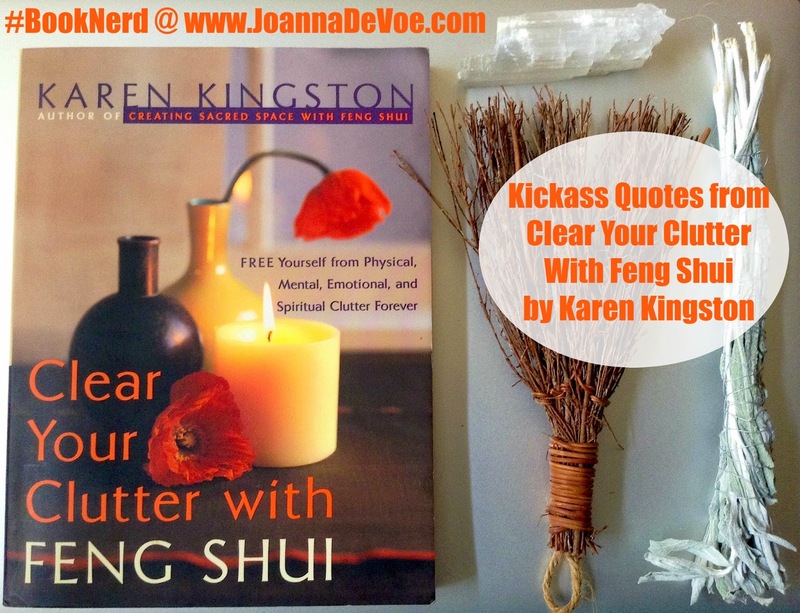 And- as Karen Kingston so beautifully points out in Clear Your Clutter With Feng Shui, it can also go much deeper than that, especially when you add Space Clearing to the mix. It is fitting that this book is so slim and tidy. There is no unnecessary clutter here! It is a book that you can read in one afternoon and then immediately put to good use. I love clutter, too! My wonderful, witchy grandma lives in this amazing house jam-packed, every corner, with interesting little doodads and curiosities, books stuffed EVERYWHERE, art and photos all over her walls. It's amazing, and I want my house to look like that. Unfortunately, Wolfman HATES clutter. We're finding a happy middle ground that has involved a lot of me donating things or saying no thanks to things offered (by friends and family who know and perhaps take advantage of my penchant for clutter). It's tough. I saw this book was recommended by Kimi of The Lovely Little Witch in a video recently. If two witches I admire are talking it up, I think probably I should give it a go. I understand now with some of my troubles. Thanks a lot. I found this by accident while looking for another book. Great book! Very informative and helpful.